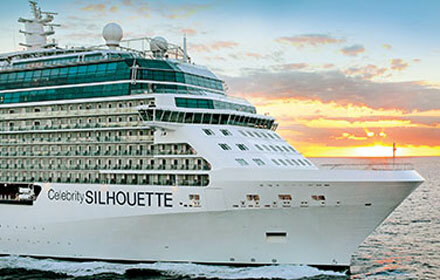 Celebrity Cruise’Transatlantic cruise vacations deliver more than great sea days—perfect for spa treatment, creative cocktails, and fine dining. They also deliver exciting destinations. 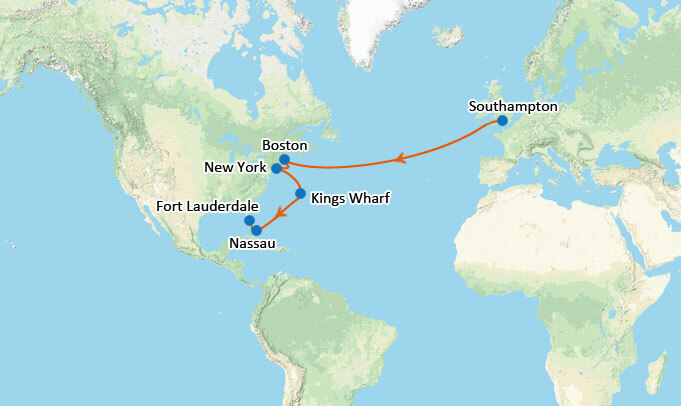 Choose among 439 shore excursions and beyond. 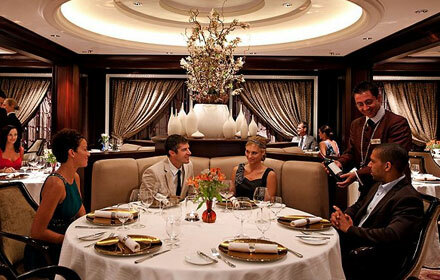 Return each evening to your Solstice Class ship and select from up to 13 tempting restaurants, including Murano for French fare, Tuscan Grille with an Italian accent, and the impressive main restaurant with two-story wine tower. 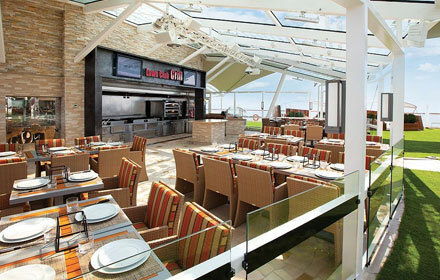 Celebrity Cruises also features the highest percentage of private verandas of all the premium lines. Add to their intuitive service, and you’re sure to return revived. Boston, Massachusetts 07:00 am 05:00 pm Day at leisure. Please call us for show excursion details. New york, New york 03:00 pm -- Day at leisure. Please call us for show excursion details. New york, New york -- 05:00 am Day at leisure. Please call us for show excursion details. Day at leisure. Please call us for show excursion details. Kings Wharf, Bermuda -- 12:00 pm Day at leisure. Please call us for show excursion details. 08:00 am 05:00 pm Day at leisure. Please call us for show excursion details. Classic French dishes—with a contemporary twist—serve as the inspiration for Murano’s menu. Enjoy nouveau cuisine with old-world charm, as we prepare some of our signature dishes tableside while you watch. Large selection of international wines, hand-picked by Celebrity sommeliers. Take your Celebrity vacation to new heights in a Sky Suite. Be welcomed with a bottle of sparkling wine and enjoy the luxury of personal butler throughout your stay. 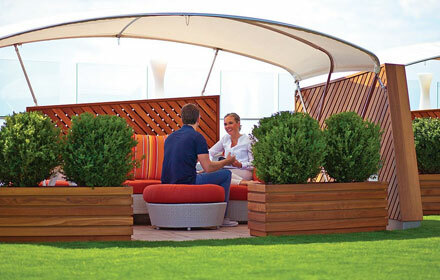 Plus enjoy exclusive access to dining and lounge areas reserved only for suite guests. Each ocean view stateroom on board Celebrity includes world-class amenities that all contribute to your modern luxury experience. Polygon Villas is situated in the Southampton City Centre district in Southampton, 100 m from The Mayflower Theatre and 300 m from Southampton Guildhall. Each room has a flat-screen TV, and a kettle in the room. 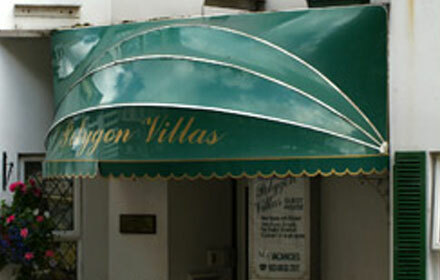 Polygon Villas features free WiFi throughout the property. Ageas Bowl is 6 km from Polygon Villas, while Woodmill Outdoor Centre is 3.7 km from the property. The nearest airport is Southampton Airport, 5 km from Polygon Villas.